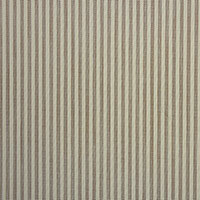 Featuring a classic stripe design, Phifertex Stripes are 100% PVC fabrics. The upholstery fabric combines durable polyester with a protective vinyl coating for reliable defense against harsh climates. The outdoor fabric is designed for use in sling chairs and other sling patio furniture, umbrellas, roller shades and other sun screens, and pergola canopies. Whether for sling fabric replacement, repair, or a modern refresh, Phifertex Stripes add a bold touch with high-power performance. The main benefits of Phifertex mesh sling fabrics come from their integrated Microban® antimicrobial protection. The solution defends against stain and odor-causing bacteria, mold, and mildew. For routine care, simply clean with soap or diluted bleach. The material also resists fading and tearing for lasting utility. 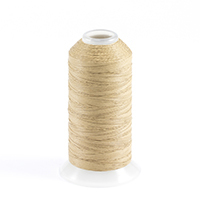 This makes Phifertex the industry leader in outdoor sling fabrics. 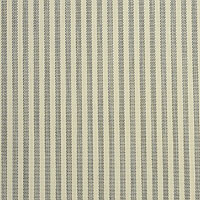 For a dynamic look, furnish your next project with Phifertex Stripes in Owen Stripe Surf LFY. This product is GREENGUARD® certified to meet strict environmental standards. Made in the USA. Warranty: 3 years. Width: 54 in. Weight: 15.8 oz.